Are the tiny charms on general sale?? I've never seen them in the UK! Lucky girl! 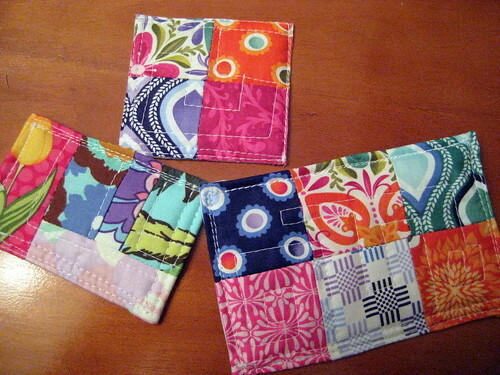 Those fabric cards are adoreble! You won some Kate Spain---Congrats!! Congratulations! What beautiful fabric. Looks like you put it all to use right away. I'm a new follower of yours and I commend your good taste! I think Kate Spain can do no wrong. Congratulations for winning those adorable little beauties. I don't know if I could have been able to cut them up, but you did a terrific job of showing them off. I stayed home and did some non-quilting sewing. I had to make a couple of obis for my son's martial arts group. BORING!!!!!! Ive been away from home for a week and have been through withdrawal! I hope my sewing machine is still talking to me when I get in here to sew tomorrow! Congrats on the wins. Terrain fabric is wonderful! Love the block! 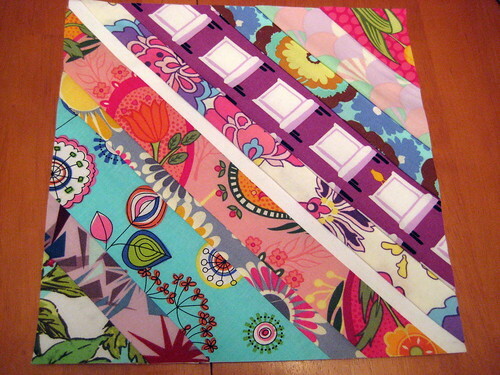 Thanks for sending the gorgeous block, Jess! I just LOVE it! Love the notecards. Tutorial please.